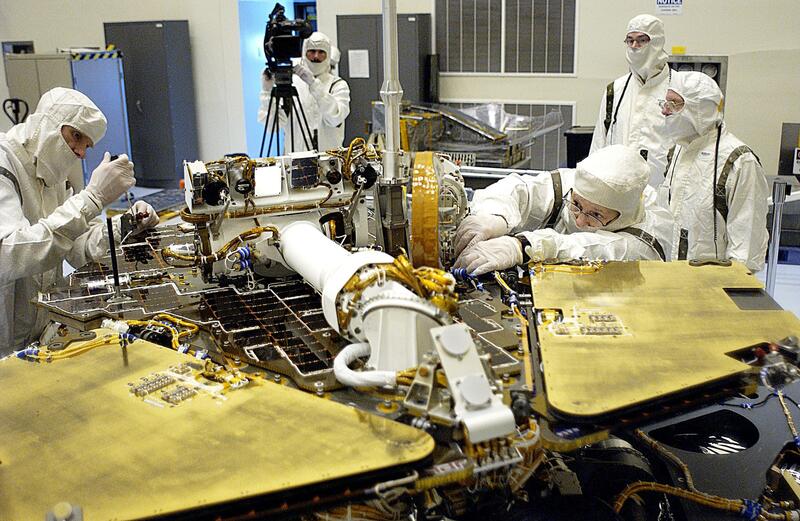 In the Payload Hazardous Servicing Facility, technicians remove one of the circuit boards on the Mars Exploration Rover 2 (MER-2). 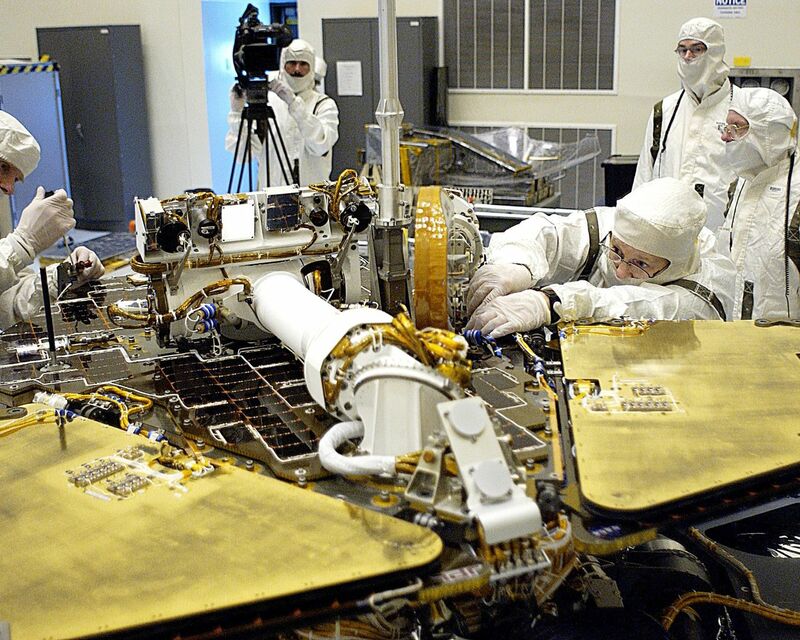 To gain access to the spacecraft, its lander petals were reopened and its solar panels deployed. A concern arose during prelaunch testing regarding how the spacecraft interprets signals sent from its main computer to peripherals in the cruise stage, lander and small deep space transponder. The MER Mission consists of two identical rovers set to launch in June 2003. The problem will be fixed on both rovers.